Hi again – no doubt it was some time since my last post here. Has the project been on hold? No, not at all. A couple of weeks ago – I took the step and ordered some things for a sensor network. The inspiration and ”what do I need” is from the project ”MySensors”. This is a project initiated in Sweden and which main goal has been to add cheap sensors to the MiCasa Verde Vera home automation controller. The project has contributed with a fantastic web site describing ”what you need”, in both hardware and software aspects. Even direct links to the hardware units on Ebay – perfect, and really – hat off! This is an Arduino board that has all the connections you would like, as well as inputs for external power source etc. A small little unit that is well suited for battery powered operations. This is the Arduino model that I plan to use for most of the sensors! A box that should have room enough for the electronics. From what i’ve experienced so far, there is not problem with putting all the sensors and arduinos (including radio) in the box, but the battery pack must be placed outside of the box. In MySensors project the NRF24L01 is used as hardware for the radio network. So I ordered a pack of 10 radio units and one version with antenna and longer range. For sensors that should report temperature and humidity, i choosed the DHT-22. For light sensors i choosed the LM-393 units. I haven’t yet actually tried this sensor out. 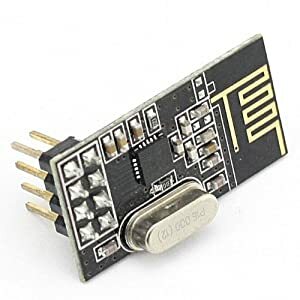 This sensor I bought in order to measure blinks from my power meter (for the energy consumption for the entire house). Except for these units mentioned above, I also bought some capacitors, resistors, push buttons and step-up converters (to leverage a specific voltage event though the Arduino is 3.3V and also a couple that should make sure the Arduino gets a ”steady” 3.3 voltage). Well, at least now i’m all set to make my first network of sensors! I’ll of course post updates as the work continues.